It’s a disagreement that emerges for numerous families: older adults adamantly desire to age in place in their own homes, while their relatives are worried about their well-being. And there’s a debate to be made in both instances. Older adults, especially those who live alone, deal with a range of risks: falls that can bring about serious injury, challenges in preserving the way of life to which they’ve become accustomed as aging advances, even a vulnerability to scam artists. Yet independence is key to self-worth, regardless of age. Striking a balance that suits the requirements of both sides is often challenging, but there are lots of critical factors to keep in mind that will help. Let go of ageism. Because there is certainly credibility to fears over health and safety for older adults at home, particularly if they live alone, the other side of the picture is our perception of aging. Pioneer Network President/CEO Penny Cook explains, “Our negative perception helps marginalize older adults. They become ‘less than’ because that helps us cope and then we take on the parental model.” A change in this thinking allows us to keep respect for seniors which they so rightly deserve, and to understand how essential it can be for them to continue to be as independent as possible during aging. Communication is crucial. As with any disagreement, calm, reasonable discussions will likely be the best tool in diffusing difficult circumstances and reaching an answer that works for the entire family. Sit down with your parent and talk about your fears, but get ready to listen with an open mind to his / her opinions and feelings. Realize that a resolution will not be achieved in one discussion; use a preliminary discussion as a building point, and agree to revisit the situation regularly to reevaluate. Most importantly, realize there’s a viable option: the knowledgeable Dallas home health care services of Heaven at Home Senior Care. 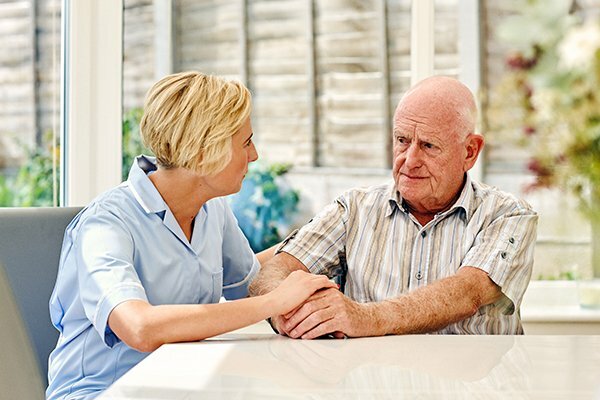 We are able to assist in many different ways to enhance well-being, offering loved ones peace of mind, while strengthening your loved ones to maintain independence, making their own choices and decisions within the comfort and familiarity of home. Contact us online or at 866-381-0500 for an in-home senior care assessment to learn more. Could You and Your Siblings Be Helicopter Children? Whether it’s companion care or comprehensive care, Heaven at Home Care is here to help ease the burden of aging loved ones. We're very happy you've had a great experience with Heaven at Home Care! We're sorry you did not have a positive experience. We are always striving to do better. Please take a moment to share with us what your experience was like, and how we can improve our service in the future. We value your feedback! Thank you! Would you recommend Heaven at Home Care to your friends, family and/or colleagues?